Career Services offers several online resources which are available exclusively to the Cal Poly community, including students, alumni, faculty and staff. Portfolium is an electronic portfolio network of people showcasing their projects, skills, and experiences to employers, mentors, and peers. This network is designed for you to visually tell your academic and professional story with the work you've completed and the activities you're involved in. Click below for resources to get started now! Portfolium Tip Sheet: To help you quickly get started! Portfolium User Guides: Detailed information on your profile, settings, adding projects and more. Cal Poly Portfolium Contest Winners: Check out these winning student portfolios! Cal Poly Portfolios: View projects of Mustangs in the Cal Poly network. Portfolium for career exploration: Search field(s) of interest. How Faculty Use Portfolium in their Courses: From the Center for Teaching and Learning. Portfolium on PolyLearn: How to add a Portfolium assignment in PolyLearn. CareerSpots videos offer a wealth of knowledge on all Career related topics, from Interviewing advice to resume tips. These videos have been placed throughout the website and in the sidebar. The complete list of videos can be found here. MustangJOBS provides Cal Poly students and alumni access to hundreds of jobs and internships, as well on-campus and local part-time positions. You can also submit your resume for on-campus interviews, RSVP for company networking sessions, and view career fair employers and positions through MustangJOBS. Current students, faculty and staff access MustangJOBS via the Single Click Links section of the Cal Poly Portal. Alumni can request a MustangJOBS account here. BIG Interview can help prepare you to ace your next job interview through challenging virtual mock-interviews. The program also offers an interview answer builder and tutorials addressing all aspects of the interview process. Access here. 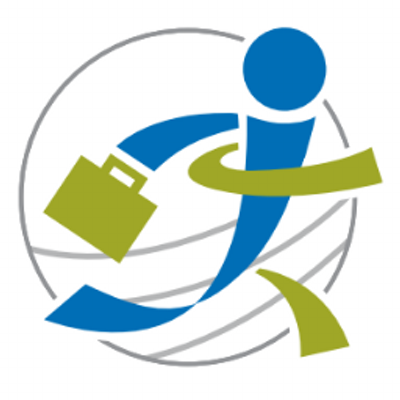 Inside GoinGlobal you will find extensive up-to-date content on international career topics such as: country-specific job search sources, work permit/visa regulations, international resume examples, cultural interviewing advice, and much more. Access GoingGlobal through your MustangJOBS account. GoingGlobal and other online resources can be found by selecting "Resources" from the Career Center drop-down menu at the top of your MustangJOBS homepage. Take Self-Assessments based on your interests, personality, skills, and values through Focus-2 which will connect you to customized career and major possibilities. Access Focus2 through your MustangJOBS account. Focus2 and other online resources can be found by selecting "Resources" from the Career Center drop-down menu at the top of your MustangJOBS homepage. LinkedIn is the world’s largest online professional network. It is an extremely useful career exploration, networking and job search tool for students. You can use it to learn about different careers, salaries, research companies, apply to jobs, connect with professionals, showcase your resume and projects, and more. Access LinkedIn here.